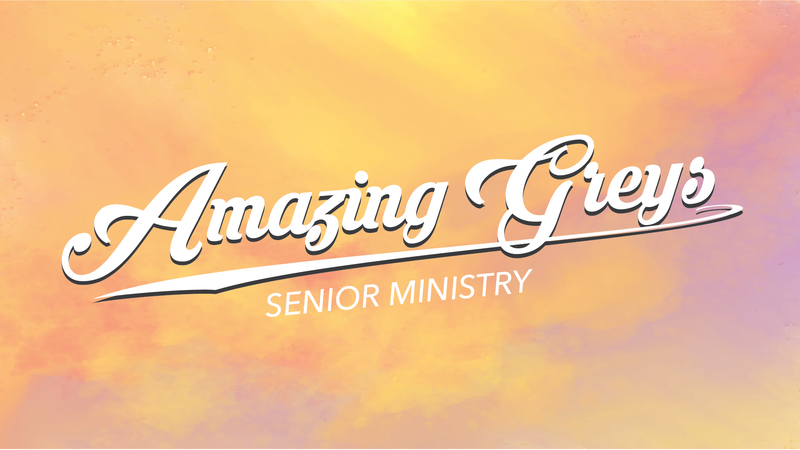 The Amazing Greys senior ministry is for married, widowed and single adults 55 years and older. Gatherings take place every other month starting in January for inspiration, fellowship, lunch, and trips to places of interest. 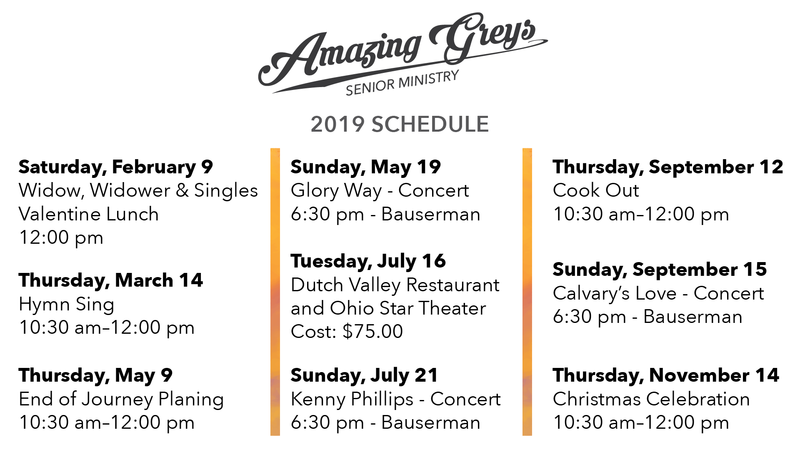 Topics range from Scripture to senior living. The ministry motto is YES (Young Enough to Serve). Anyone is encouraged to join the group at any time. For more information, email Pastor Bob Mathias or call the church office.